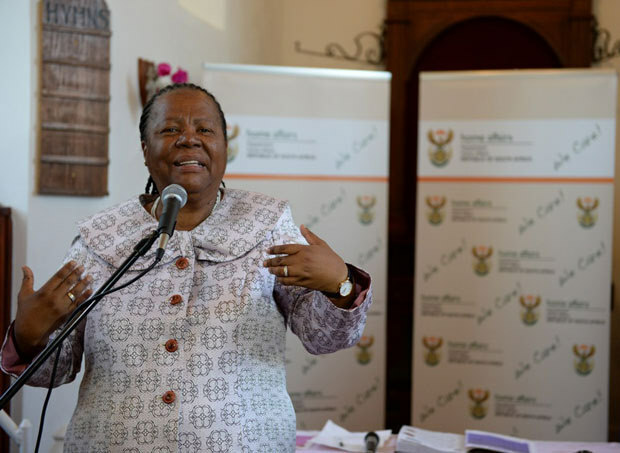 South Africa would dedicate R128,7-million to international co-operation and relations to secure partnerships in the international domain and create research opportunities for its researchers, Science and Technology Minister Naledi Pandor told a media briefing in Cape Town on 16 May 2017. A major reason for this was to make up for government funding shortfalls and currency volatility. The Department of Science and Technology, the major funder of science, technology and research in the country, received R7.5-billion for the 2017-18 financial year. While the figure is constant in nominal terms, it has not kept up with inflation trends and with the country’s weakening currency. “The funding is not yet at the level we want to see it,” Pandor said ahead of her department’s budget vote in Parliament in the afternoon. She had previously set an ambitious target of 1.5% of gross domestic product to be spent on research and development by 2020. At the moment, that percentage is about 0.76%. To boost spending on research. Pandor said that her department was pushing collaboration outside as well as inside the country. “We are pursuing a number of initiatives in partnership with the private sector and more and more we are drawing closer to other spheres of government that do no have science, technology and innovation (STI) as a focus area, and [we are] encouraging them to fund STI,” she said. Despite the funding squeeze, South Africa’s radio astronomy ambitions are surviving the pinch. The department would allocate R 693-million to the National Research Foundation to ensure the completion of the MeerKat, South Africa’s Square Kilometre Array (SKA) precursor. The SKA will be the largest radio telescope on Earth, and will be hosted by South Africa and Australia. Construction on the SKA is expected to start late next year. But the main focus of the department’s 2017-18 budget would be “human capital development and the continuous modernisation of research infrastructure”. This kitty funds most of the country’s academic researchers, and is instrumental in the training of postgraduate students. According to Pandor, in 2015-16, 4,315 researchers were awarded research grants through the National Research Foundation. This number is expected to creep up in 2017-18 to 4,500. Also, in 2017-18, the National Research Foundation is expected to fund 32,792 postgraduate students. The department has a fairly strict policy about how these bursaries are awarded: 80% must go to black students, 55% to women, and 4% to people with disabilities. This is one of the department’s five priority areas, and is the most poorly defined. This funding ranges from developing policy and strategy for R&D, and creating indicators for the country to measure its STI performance, through to developing technologies to tackle poverty and create jobs. 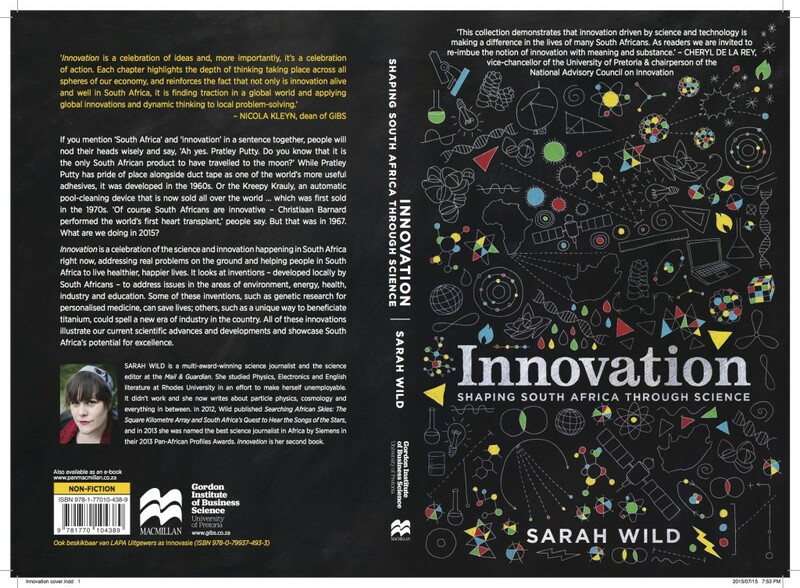 This money goes to the likes of the Technology Innovation Agency, tasked with taking technologies from idea to marketable product, and the National Intellectual Property Management Office, which protects intellectual property developed using public funds. Nipmo specifically gets an allocation of R36-million. This kitty also funds research and skills development in focus areas, like space science, renewable energy. and the bioeconomy. While the department’s eye is almost certainly on using some of this money to coax foreign countries into investing in STI in South Africa, Pandor also said that it would be used to promote capacity building on the continent. to develop Africa’s knowledge base. Pandor described this allocation as “meagre”, saying it mainly went to ensuring clean audits and that its entities complied with governance and accountability legislation. The department is one of the few in South Africa’s national government that continues to receive a clean audit. “Scientists know very little about the plants and animals in the Karoo, and there is an urgent need to document the indigenous species found in this important part of South Africa,” says the Karoo BioGaps Project, a citizen science initiative which aims to document the Karoo’s natural resources. But this vast track of South Africa, which contains a wide range of animal and plant life despite its extreme temperatures and low rainfall, is being eyed for development. Shale gas exploration, solar plants and other infrastructure are being earmarked for the Karoo, to boost much-needed development. But without data, scientists and policy makers do not know which areas require additional protection or to be left alone entirely. “We need to learn which species are widespread, and which are sensitive to proposed future changes in land use and development,” says the newly launched project. You can photograph Karoo species and upload your pics to http://www.ispotnature.org/projects/karoo-biogaps. There is also a community forum where uploaders can discuss photos and observations. 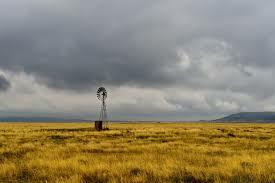 Even if you have no plans for visiting the Karoo anytime soon, you can help to transcribe the thousands of historical records at http://transcribe.sanbi.org/. These treasure troves were collected before conservationists and explorers dreamed that a person would be able to take and share photos with anyone in the world instantly. “It is absolutely critical for us to digitise these old herbarium and museum records as they are basically unavailable for use by scientists in their un-digitised format,” says Carol Poole, the South Africa’s National Biodiversity Institute (SANBI) project co-ordinator for biodiversity research. “The ability these days to crunch large datasets means that including all these historical records along with current fieldwork records is very important. “They give us a perspective of what species existed where in the past, and we can compare that to where we find these species in the fieldwork being conducted today. So comparing historical and current species records is an important part of assessing species’ distribution and threat status,” she says. Some of these records date back to the 1830s, and digitizing them will make them accessible to anyone who wants to look at them. There are 12 main groups that the Karoo BioGap Project is looking to inventory: plants, mammals, amphibians, reptiles, freshwater fish, birds, bees, spiders, dragon flies, scorpions, grasshoppers, and butterflies. Citizen science is the latest trend in resource cataloguing, but researchers say that engaging non-scientists in this way introduces them to a world that usually gathers dust in archives or allow them to discover new things. There are a number of citizen science projects in South Africa, allowing anyone interested to choose the project that would suit their interests best. For a more hands-on experience, the miniSASS project aims to create an inventory of life in our rivers and dams. The types and numbers of small animals living in our water bodies tell whether that water is in a good condition or not. Based on the SASS (the South African Scoring System), this initiative — which is the brain-child of the Water Research Commission, environmental consulting organisation GroundTruth, and the Wildlife and Environmental Society of South Africa (Wessa). This information is then passed on to policy makers. One thing that makes the Karoo BioGaps Project stand out is that its managers recognise that sometimes kudos is not enough. There are also prizes for the most pictures and most transcriptions. 1. In 2014-15, South Africa spent R29.345-billion on research and development (R&D). That’s up from the R25.661-billion in 2013-14. At constant Rand values, it was an increase of 8%. 2. Almost half of this R&D cash went to labour costs. 3. Unfortunately, we’ve once against missed our ambitious targets. Prior to 2008, the goal was to spend 1% of gross domestic product on R&D. Government is now eyeing 1.5%, which is a bit like asking for R1,000 when you can’t scrape together R100. In 2014-15, the country as a whole — which includes government, business, and non-governmental organisations — spend 0.77% of its treasure on R&D. That is up from 0.73% the previous year. 4. Government has — for the third year in a row — spent more on R&D than business. Government, in this instance, also includes universities. This a problem, though, as internationally business is usually the major driver of R&D: R&D leads to new products and services, making companies more competitive. 5. State-owned enterprises account for 15% of business spend on R&D. 7. Mining and quarrying continued to take a beating, with business’ R&D spend in this field declining by 20%. 8. Most of the R&D undertaken in South Africa is applied research (48.8%) rather than basic research (24.3%). 9. The number of researchers in the system (by headcount) continues to increase: from 42,828 in 2012-13 through to 48,479 in 2014-15, which is quite a jump. Credit for this 5,561 rise is mainly due to doctoral candidates and postdocs. 10. A bonus on this year’s “key findings” is that they have started to include “Female researcher numbers” as a stand alone category to tracked. Women account for 44% of researchers, which puts us up among some of the world’s most gender-transformed countries. The latest OECD data puts France at 25.6% (2012), Germany at 26.8% (2012), and Russia at 37.4%. On paper, South Africa’s science and technology budget continues to edge up. On Wednesday, finance minister Pravin Gordhan delivered his national budget to Parliament, sharing out the country’s R1.56-trillion. The department of science and technology’s budget’s looks set to continue to increase: From R7,44-billion in 2015-16, and R7,43-billion in 2016-17, it will be hitting R7,56-billion in 2017-18. Going further, the projected spend for 2018-19 is R7.92-billion and for 2019-20 R8.19-billion. This is far from the 1.5% of gross domestic product spent on research and development that the government is targeting (and has been targeting for a number of years now). But in an environment of high poverty and multiple demands on the state fiscus, any increase at all is — quite frankly — a miracle. What this shows is a budget that, while increasing or remaining stable, has actually been revised down. These figures are taken from the 2015, 2016 and 2017 budget reviews. Additional bad news for the science community is that this money does not buy what it used to: Consumer Price Inflation is expected to range between 4.6% and 6.4% for this period. To keep up with inflation, the department would need at least an additional R300-million (R480-million if inflation is high) each year just to keep up. According to the budget numbers, money for science and technology is not increasing in real terms. Another major obstacle for research funding in South Africa is our weak currency: these new numbers do not take currency volatility into consideration. Luckily the currency has strengthened slightly (this time last year, the currency was in the middle of a beautifully executed dive off the high-diving board and research institutions were feeling the pain of it). But the reality is that local researchers struggle to compete internationally when journals are priced in pounds, dollars and Euros, as is most scientific equipment. Maybe this will be the year when business, recognising that government can no longer push the R&D agenda, will return more whole-heartedly to the research table. South Africa’s R&D spend is quite singular in that government is the largest spender on research and development, having overtaken business a few years ago. In most countries, business drives R&D and innovation. Gordhan mentioned in his speech that the department of science and technology’s R&D tax incentive (which gives companies tax breaks for doing R&D in South Africa) brought in R30-billion between 2006 and 2016. Relatively speaking, that is not a lot of money. But allegedly the number of businesses involved in the incentive scheme is increasing. While these numbers in context show that spending on science and technology is actually declining, the bright side is that the science budget did not get cut. And with gross domestic product growth of 0.5% last year (which is expected to rise to 1.3% this year and to 2% in 2018), that really is a bright side: science, technology and research — often considered “nice to have’s” — are usually where cash-strapped governments look to cut the fat. Science and technology minister Naledi Pandor was this weekend awarded one of science’s most prestigious global diplomacy prizes. The award, presented by the American Association for the Advancement of Science (AAAS), recognises an individual who has made an outstanding contribution to furthering science diplomacy. Pandor, speaking after the awards ceremony in Boston in the United States on Saturday, said that the award recognised South Africa’s development as a country. “We regard this as the recognition of the entire people of our country and the efforts we began to make from 1994 when we started to build our very new and still young democracy,” she said. Pandor has served as science minister since 2009, interrupted by a stint as home affairs minister from 2012 t0 2014. “Under her leadership, South Africa has made numerous contributions to building science structures in organisations such as the African Union and the Southern African Development Community, to strengthening the science granting councils of other African countries, and to expanding the role of the Global Research Council,” said Tom Wang, AAAS’ chief international officer and director of the Center for Science Diplomacy. Last year, Germany awarded Pandor with one of their highest honours, the “Grand Cross of Merit with Star and Shoulder Ribbon of the Order of the Merit of the Federal Republic of Germany”. The deputy head of the Germany embassy in South Africa, Klaus Streicher, also submitted a letter of support for Pandor’s AAAS award. “Naledi Pandor is an outstanding woman committed to scientific advancement and co-operation, not only in her own country, but with a global perspective,” Streicher wrote. But roadmap is not set in stone: there are three-yearly check ins to make sure SA is on the right path & betting on the right horses 20/20. The first image from South Africa’s MeerKAT telescope shows that the telescope “will be a remarkable discovery machine”, MeerKAT chief scientist Dr Fernando Camilo said on Saturday. “The images tell us all that MeerKAT is the best telescope of its kind in the southern hemisphere, with only 16 dishes,” he told an assembled audience of ministers, deputy ministers and visitors to the Square Kilometre Array (SKA) site in the Northern Cape. On Saturday, Science and Technology Minister Naledi Pandor inaugurated the first 16 dishes of the MeerKAT telescope – and unveiled its first image. By the end of next year, the MeerKAT telescope, which is South African designed and built, will comprise 64 dishes. These giant two-storey dishes rise up out of the centre of the MeerKAT core area, standing incongruously against a backdrop of ocre sand and scrubland. Others wait to be assembled, their white metal bowls ready to be hoisted onto waiting pedestals. “When the full 64-dish MeerKAT is available, it will be the best telescope of its kind in the world,” said Camilo, formerly of Columbia Univeristy who took up the post in April. “It is very, very difficult to get to this stage [as there is usually a process of trouble-shooting before a telescope can produce a high-quality image]. It tells us and the world that we have a working telescope in the Karoo,” he said. Although the R3-billion MeerKAT is South Africa-owned and funded, it will be incorporated into the SKA, which will be the largest telescope in the world. The SKA will be hosted by Australia and South Africa, with satellite sites in eight African partner countries. It will seek to answer some of humanity’s most enigmatic questions: are we alone in the universe, what is dark matter, how do galaxies evolve, what happened after the Big Bang? From 2018, another 133 dishes will be added to MeerKAT to form part of the phase one of the SKA, which has been capped at EUR650-million. In Australia, about 130 dipole antennas, which look like six-foot-tall Christmas trees made out of thick wire, will be constructed as part of this phase. South Africa decided to build MeerKAT, even before it was announced in 2012 that the SKA would be split between the two countries. Part of the idea at the time was to showcase South Africa’s scientific and engineering capabilities and prove that the country could in fact build and host a radio telescope. The other part was to ensure that it would have a legacy project in case the country lost the hosting bid. It is difficult and expensive to engineer a radio telescope with only one big dish. This is why the MeerKAT – and ultimately the SKA – is an interferometer, which uses many smaller dishes to act as one giant telescope. What this means practically is that an interferometer can be brought online in phases, and the radio telescope can undertake science even though all of its phases are not operational. The released image is a picture of about 1300 radio galaxies, of which only 70 had been imaged before, Jonas said. Celestial objects, like stars and galaxies, emit radio waves, which cannot be seen with the naked eye. Radio telescopes receive these relatively weak signals from the universe and turn them into maps and images of the universe. The radio spectrum is substantially broader than that of visible light, which means that scientists can “see” more with radio telescopes. The “first light” image was taken in the L-band, which is a portion of the radio spectrum. This band is of interest globally because it contains information about how the universe and how galaxies evolve, among other things. MeerKAT is expected to be twice as sensitive in this band as was originally anticipated. This means that an experiment in this band could take a quarter of the time it was originally allocated. It was “not always easy to convince governments to support long-term projects and initiatives, especially in science … [where] there are often nuanced impacts that are not immediately visible”, she said, encouraging dignitaries including Economic Development Minister Ebrahim Patel and 11 deputy ministers from a number of departments, to become “ambassadors for science and the SKA”. This article was first published by Independent Newspapers.